TrueCar is a digital automotive marketplace that provides comprehensive pricing transparency about what other people paid for their cars while enabling consumers to engage with TrueCar Certified Dealers who are committed to providing a superior purchase experience. 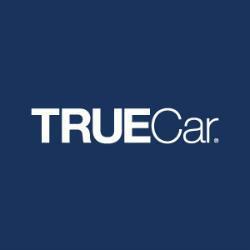 TrueCar, based in Santa Monica, California, operates its own branded site, and its nationwide network of more than 14,000 certified dealers also powers car-buying programs for some of the largest U.S. membership and service organizations, including USAA, AARP, American Express, AAA, and Sam's Club. More than half of all new car buyers engage with the TrueCar network during their purchasing process. While experiencing rapid growth, TrueCar had to ensure that its technology infrastructure could adapt to changes in the business while continuing to deliver value for consumers, dealers, and partners. This meant, among other things, that it needed to be able to adjust capacity to handle seasonality in car buying, empower its software engineers to develop products rapidly, and enable data-driven decision making by everyone in the company—all while keeping costs under control. For TrueCar, moving to the cloud was the most obvious solution to its business challenges. “We continued to see more companies successfully migrating key applications to the cloud, and we knew it was the right time for us to do it,” McClung says. After evaluating several cloud providers, TrueCar made the choice to go all in on Amazon Web Services (AWS). “AWS is the category leader, and it had all the services we need to run our application and our company. The choice was very clear for us,” says McClung. AWS introduced TrueCar to CorpInfo, a Premier AWS Partner Network (APN) Consulting Partner with multiple AWS Competencies, including the AWS Migration and AWS DevOps Competencies. “We needed outside experts to help us build the cloud platform we wanted, and CorpInfo was the right choice,” says McClung. CorpInfo worked with TrueCar to adopt the AWS services best suited to each major use case and workload. TrueCar leverages AWS Direct Connect to bridge the gap between new application servers running in AWS and legacy services running in the data center. The used car-buying application is powered by Amazon Elastic Compute Cloud (Amazon EC2) instances, with automobile images stored in Amazon Simple Storage Service (Amazon S3) buckets and delivered to visitors with Amazon CloudFront. TrueCar uses Amazon Kinesis Streams to collect and process log data, and Amazon Kinesis Firehose to load the log messages to S3 for permanent storage. TrueCar is migrating all of its business analytics and reporting to Amazon Redshift data warehouses. The company also created internal development and test platform called “Spacepods.” These containers for self-service development are managed as Docker containers powered by Amazon EC2 Container Service (Amazon ECS), a scalable container-management service, and by Amazon Relational Database Service (Amazon RDS). TrueCar software engineers can create a pod to quickly provision full AWS environments for experimenting with new features. “A pod contains all of the AWS resources necessary to power the application a developer is working on, and it’s a replica of what’s in production,” says Giffin. By migrating thousands of virtual machines from its data center to AWS, TrueCar hopes to minimize or eliminate the need to manage hardware. “Even though our operations team is small, we expect to keep pace with our growth by relying on AWS,” says McClung. CorpInfo is an AWS Partner Network (APN) Premier Consulting Partner based in Santa Monica, California that provides cloud consulting, infrastructure solutions, and managed services. As a leading technology firm, CorpInfo specializes in migrating business-critical systems onto AWS to unlock new value and capabilities for customers. The company optimizes the value of IT investments by thinking creatively to solve specific challenges while laying the groundwork for future growth and flexibility. For more information about how CorpInfo can help your company build and manage your AWS environment, see CorpInfo’s listing in the AWS Partner Directory or visit CorpInfo's website. To learn more about how AWS can help you find solutions best suited to your workloads, visit our details page: https://aws.amazon.com/.